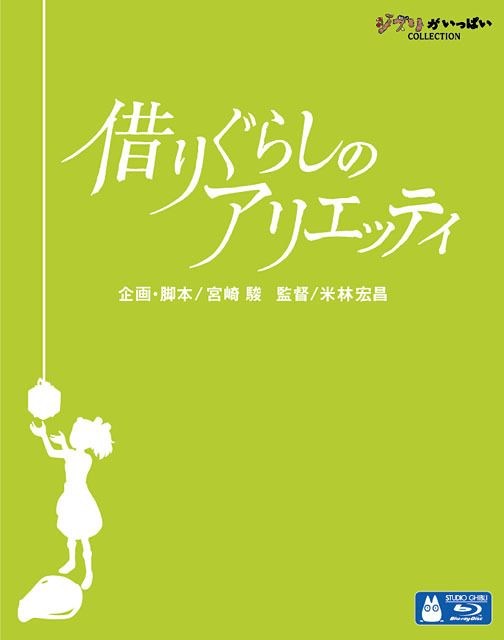 Walt Disney Studio Japan today announced the Blu-Ray and DVD of Studio Ghibli's Karigurashi no Arrietty, or Arrietty the Borrower. The 2010 blockbuster hit will be released on June 17, and I'm very glad to see the BD will continue the excellent art design of the earlier films - thick cardboard cover with magnets, stylish cover. The Studio Ghibli BDs have fantastic transfers, and we expect no less for Arrietty. The video is double-layer MPEG-4 AVC, optimised for 16:9 widescreen. This movie is going to look fantastic. One important note: Disney's US soundtrack will not be included on the Japanese release. 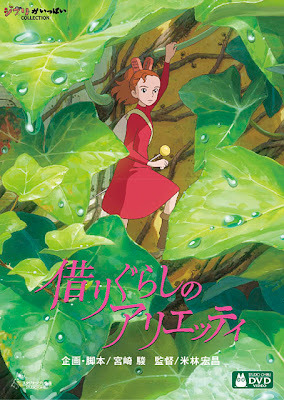 This is understandable, since they are planning to release Arrietty in February, 2012, and have only begun recording sessions a few weeks ago. We'll be looking forward to seeing this movie on the big screen next year. Finally, there will be a limited-edition trinket - this hairclip will be bundled with Arrietty's first production run. I'll have some photos up shortly. 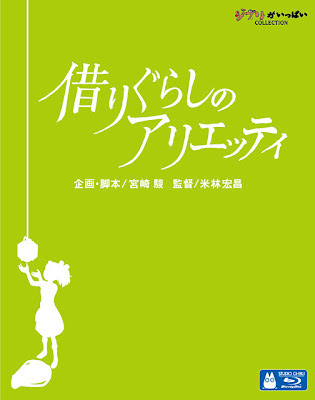 No doubt Studio Ghibli and Disney intended to officially announce the Arrietty BD/DVD at next week's Tokyo Anime Fair, but that event has been canceled in the wake of Japan's earthquake/tsunami/nuclear crisis. Thankfully, they wasted no time in making their announcement. Now if they could only bring down the prices of their Blu-Rays...ahh, like it makes any difference. We're all going to import the BD on Day One, heh. Will it be Region-Code free? And what is the difference between the regular BLU and the Limited BLU edition? Just the hairpin? The other Ghibli feature film Blu-Rays have been region free, so I don't expect this to change. Once it's released, we will be able to see for certain, but for now, I would assume that you can play Arrietty anywhere in the world. Also, please remember that Arrietty will be arriving on home video this summer around the world - France, Britain, and Australia are confirmed. So if you live in those territories, you may want to wait for those. I think we can know what to expect, quality-wise, from the different publishers. I just hope the audio is 24-bit. It was very disappointing to see Ghibli go backwards by having Laputa and Yamadas only have 16-bit audio after Ponyo and Nausicaa had 24-bit audio. I'm from Australia and i would like to know where i can import this with the hairpin? what are the websites we can import this from?